I made this just now and it tasted really strongly like cream cheese. Is it supposed to? 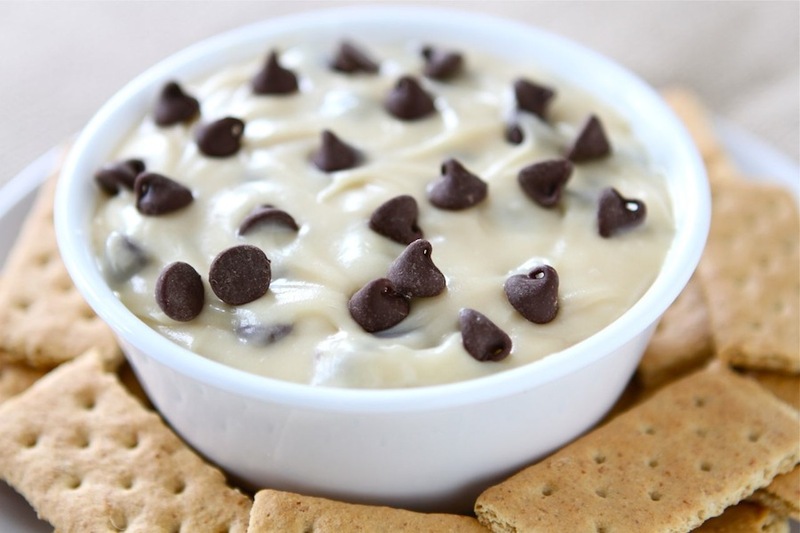 A friend of mine made a cookie dough dip so I tried this recipe but it was nothing like I remembered. Mine was runny! Cookie dough is not supposed to be runny so I put it in the fridge and I hope that helps. I was disappointed in this! I just made this dip, and i wish I would have added a bit more vanilla or brown sugar. It tastes a little too much like cream cheese frosting for my tastes, but my husband has yet to taste it, so we’ll see what he thinks. Otherwise, it was super easy and I’m sure it would be a hit at a party! 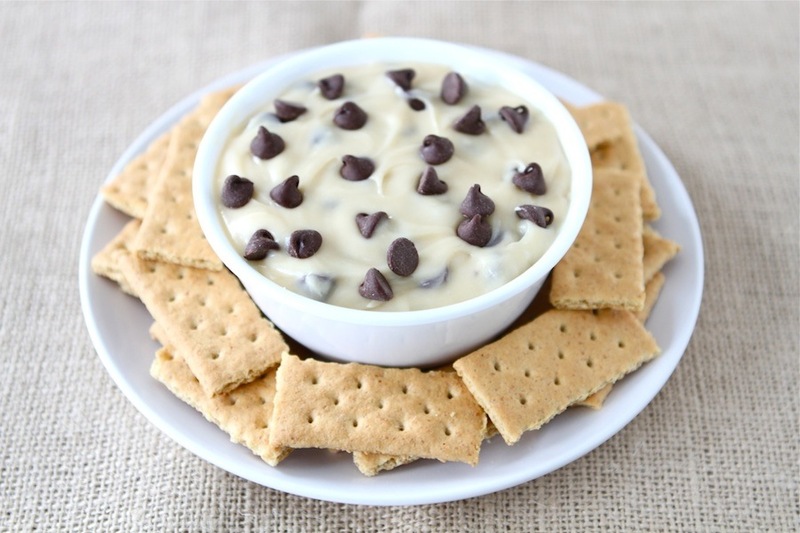 Hi I was looking at your blog and really liked the idea of the Cookie Dough Dip Recipe the one you did that was inspired by Jessica’s blog. But I was wondering if I wanted to make the dip to look like yours would it be the same measurements? Made this for the big game snack. Used mini-chips and served with Vanilla Wafers. Ooh, it was a keeper! It has a strange aftertaste. Ok, I cooled the caramel stuff about 10 minutes. 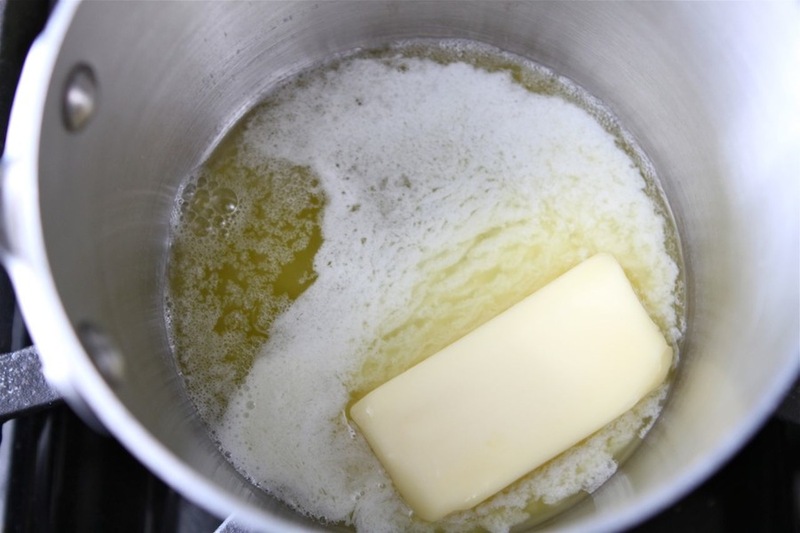 Also, since I used unsalted butter I added 1/2 teaspoon of sea salt. I also added 3 tablespoons of flour, mixed in gradually to give it a bit of body and a hint of that flour flavor that makes it taste more like dough. 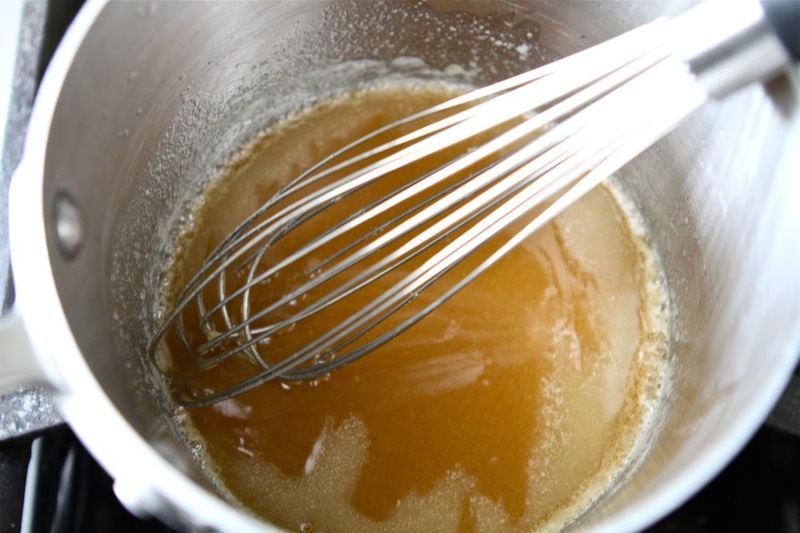 How cool does the butter and brown sugar mixture have to be before adding? I just made this! It is the perfect yummy dish! This looks wonderful! 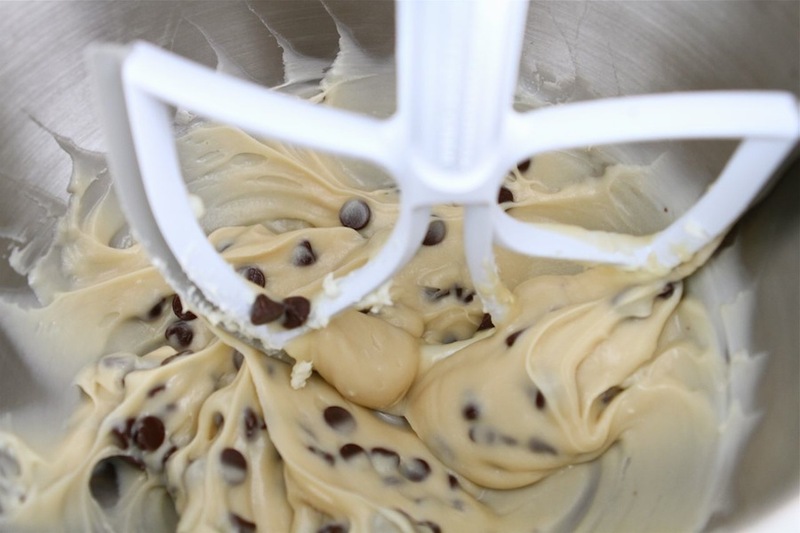 Mmm, cookie dough. This looks super yummy! Can’t wait to try this! 1. This was the hit of our Super Bowl party – thanks! 3. One word: ICING! This would work so well on a chocolate cake. 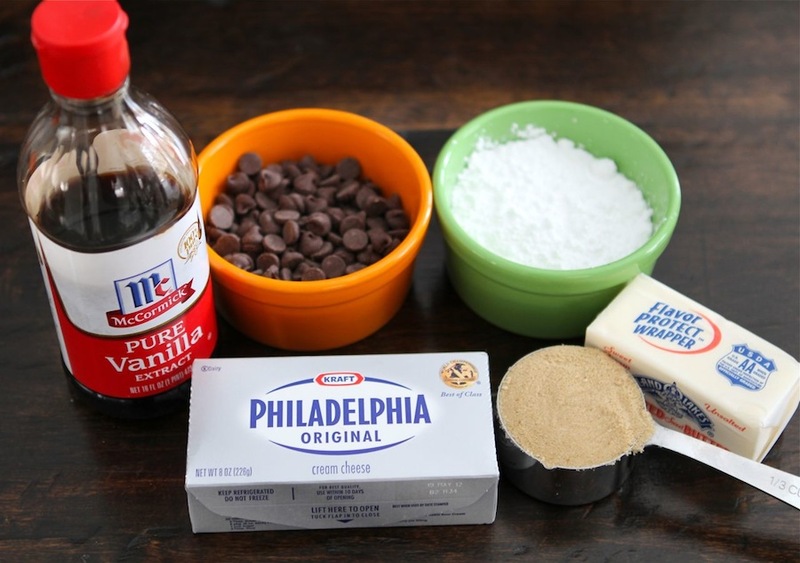 A “chocolate chocolate chip cookie dough cake” with a layer of this in the middle and as the frosting. This was fabulous! We had it with graham crackers and cut up apples. SO.GOOD. I *really* wanted to like this recipe because it looked so yummy in the bowl, but I just couldn’t get past the cream cheese taste. I love anything cookie dough flavored, but this didn’t taste like cookie dough to me at all. I tried to add more vanilla, sugar, etc. to get rid of the cheese flavor, but nothing helped. It just tasted like cream cheese with chocolate chips in it. I planned to bring it to a SB party last night but made a different dip instead. That looks divine! Our Super Bowl food was buffalo chicken dip, nothing sweet. 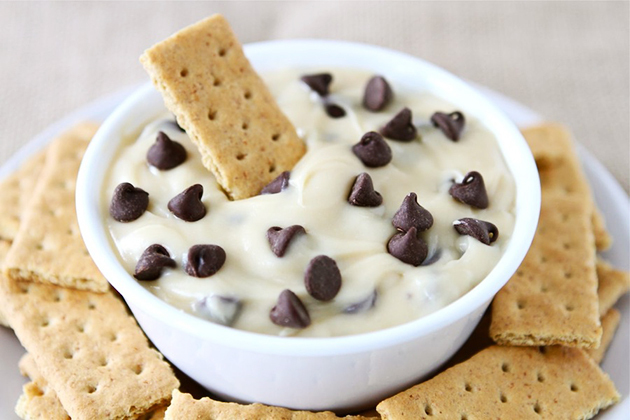 Now I’m wishing we had the ingredients on hand for some cookie dough dip. I can’t wait to try it! 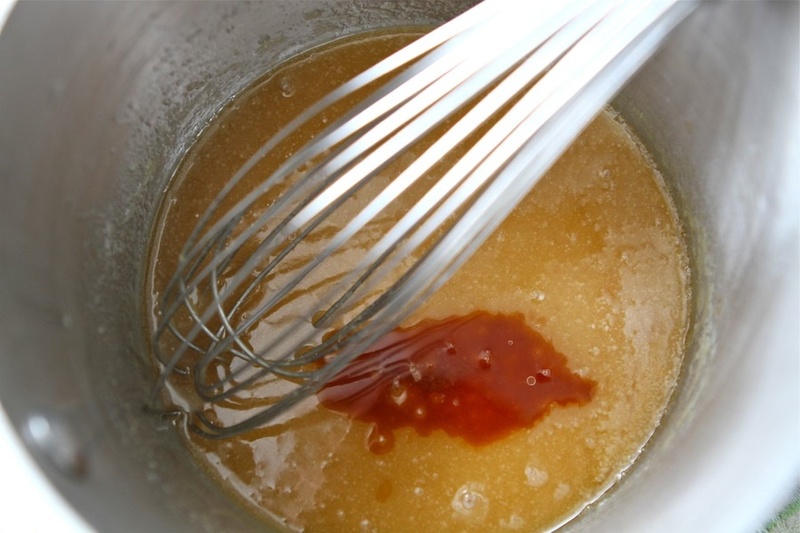 I also had the trouble with the butter/brown sugar getting hard on top & then having chunks in it. *sigh* My kids loved this dip, but I didn’t like that it tasted too much like cheesecake. So, I tried the recipe (just the dip part) listed on this blog: http://heatovento350.blogspot.com/2011/04/brownie-cookie-dough-sandwiches.html and I am in LOVE with it! It made a lot of dip, so I’ll be taking some to work tomorrow. I served mine with vanilla wafers, but some of the people at the super bowl party just ate it with a spoon. I made this did just today after seeing it yesterday.It was a hit for me.I sent it with my grandson to take to a Super Bowl Party..I had to taste it before he walked out of the door with it and i hated to part with it.lol I will make it again Wed. night for a Valentine dinner at church and hope it’s a hit there as well as at my home. I definitely agree with Stephanie and Tally. It was more like a cream cheese icing. I added some flour as well after going to other websites and finding multiple recipes with flour instead of cream cheese. I can see where the cream cheese alone makes it easier to dip (very creamy consistency), but it just didn’t taste like cookie dough to me. If I make this again (using it as a once a year Super Bowl treat today:), I would probably cut out the cream cheese altogether and substitute with 1 1/2 cups of white flour or yellow cake mix. Seemed kind of artificial tasting, so I added about 3/4 cup of flour and 1/4 cup of white, granulated sugar, which helped give it the taste and feel of real cookie dough. Great idea, though. I don’t know what kind of cookie dough you guys are eating, but I tried making it (Much fun doing so!) while my banana muffins were cooking…and all it tastes like is cream cheese with vanilla and chocolate chips in it. I was disappointed. But dang if it doesn’t look *gorgeous*! in the bowl!! I should mention the above recipe is courtesy of Angela Lively if you look it up on the Food Network’s Website. If you like “safe” cookie dough to eat, you have to try Cookie Dough Truffles featured on Paula’s Best Dishes. They are to die for! My in-laws start fighting for the last ones… seriously! And they are easy to make. Thanks for this dip idea. Looks like it will fit into my cookie dough recipes quite well! did anyone have a problem with the second step? i couldnt grt the butter and brown sugar to mix together without it being chinky and then cooling and turning hard… my dip has chunks of brown sugar in it!! Also, I have to wonder what previous commenter, Tracy B, would think about me allowing my daughter to lick the spatula. Yikes … why so negative? Just don’t make it if you don’t like it … but then, a dessert like this might just sweeten up that snarky disposition of yours! I have actually been planning on making this recipe for the Super Bowl! Quick question though… why is this one such a different color compared to Jessica’s original? I too saw this on the other site and couldn’t print it out fast enough to make it that evening. It was awesome with granny smith apples wtih the bit of sour apple and sweet cream cheese coming together. And last but not least, the honey braid pretzel rods were yummy as well! tracy; not only is this a matter of feeding your kids in moderation, look at how many people are changing the recipe to be lower in calories and healthier. 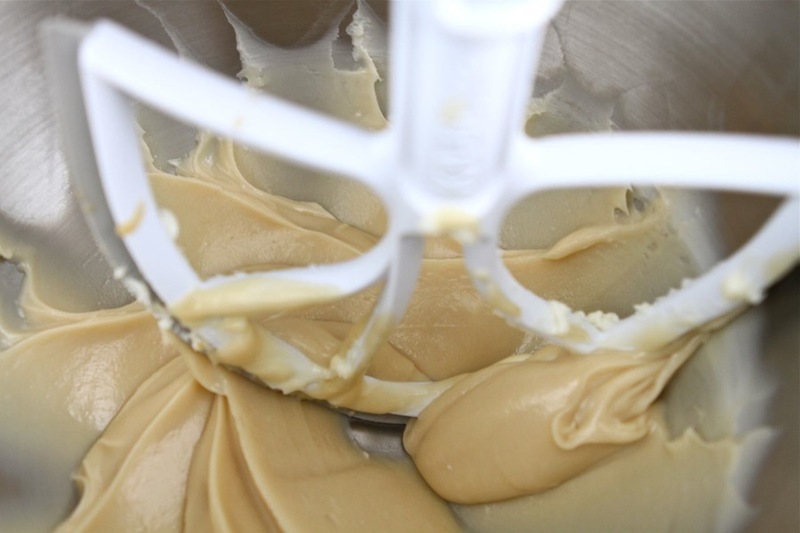 you can use plenty of low fat options in any recipe, thats up to you. on the subject of kids, they love sweets. all kids love sugar. its the parents responcibility to teach them what isnt healthy to eat. also, this isnt a childrens food blog. its a FOOD blog. 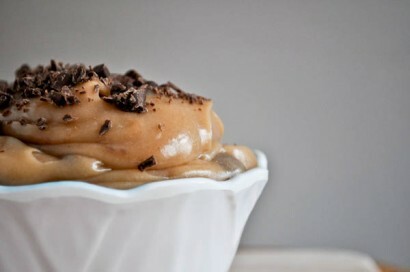 i love sweets and i am thrilled to see this recipe on here. it looks amazing. Since this had a cream cheese frosting base, I thought why not put it on some red velvet cupcakes…. YUMMY! I used mini chocolate chips instead, fantastic I tell ya fantastic! I made this tonight to serve tomorrow night. Of course I snitched some. It is AMAZING!!! OHMYGOD, I’m going to make this in a vegan version for the SuperBowl. My son and I have an incredible sweet tooth so this will be great! This is the best dip ever!!!! I dipped in pretzels and saltines and it was great. Using fat free cream cheese works fine. Instead of using chocolate chips, I grated part of a Hershey bar which made it more smooth. I’ve been wanting to try this to, looks amazing!!! This looks similar to something I make called a chocolate chip cheese ball. Always goes over well! I’ve never heard of a cookie dip before. Is this an American tradition? Does anyone know anything about its history? Please share if you do. Are the cookies you use to dip unsweetened, or perhaps salty? Tell me more, please! I made a dip just like this last week but thought it needed something more. So I added peanut butter and chopped reese’s. So good! Inside I am SCREAMING with GLEE!!! I just found this recipe AND I have all the ingredients in my kitchen! Now…how long ’till the kids go to bed…?!?! You can also use mini chocolate chips so each bite is extra “chippy”. This sounds really good. And no one told us to eat the whole bowl, or eat it everyday….what’s the harm in a “good ole” treat once in a while??!! On my list for Superbowl Sunday!! Where has this dip been all my life?!?! Sounds like Coeur a la Creme with chips. Thanks for highlighting this dip Maria! It sure is always a hit. Thank you, Honeychurch. MUCH better response than the one that immediately sprang into my mind. And, like a lot of Paula Deen’s recipes, this is not something you would eat every day. ALL things in moderation. Many blessings. I make a recipe somewhat similar to this. It is cream cheese, marshmallow cream, and frozen whipped topping. You could use fat free cream cheese and also fat free whipped topping. 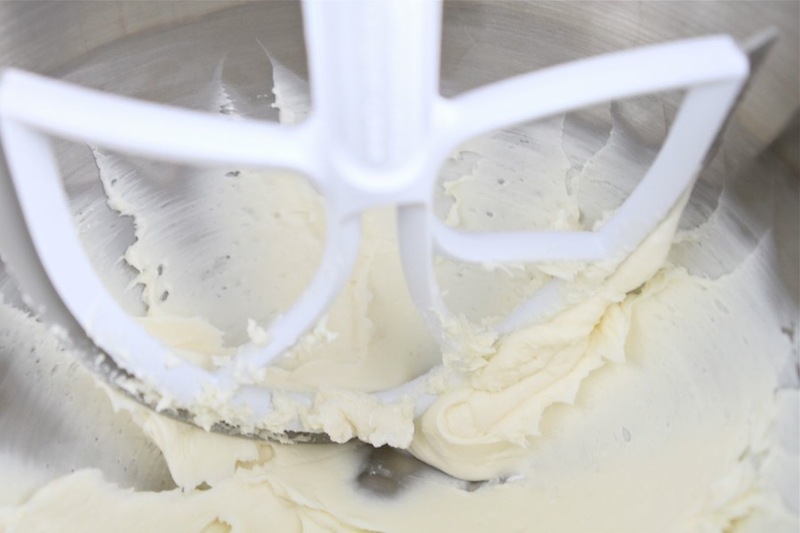 Cream cheese needs to be softened to room temp. Simply fold these together and serve with cookies or fruit. I had something similar at my book club last week- only it was more solid, rolled in crushed pecans, and served in cheeseball form. yum! Thanks for sharing; this recipe can be turned into a ‘base’ for many other tastes like dip for fruit (less the chips, adding marshmellow cream.) I hadn’t thought about how easy it would be, but this is helpful! 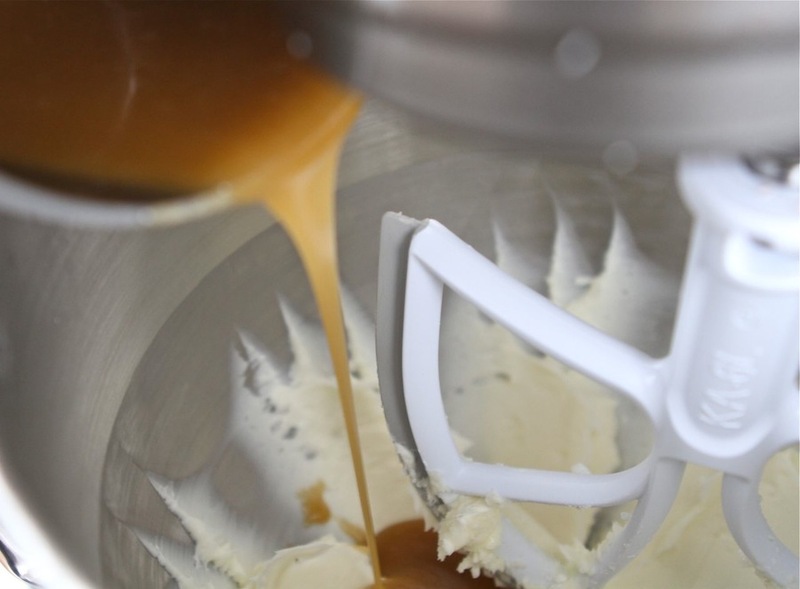 And, by making at home, controlling the base ingredients versus purchasing @ store. Thanks, Honeychurch, for the response. I appreciate that you advocate learning PERSONAL responsibility rather than living in ignorance about the choices available. Tracy, you might have a point, but I will turn your “Seriously?” back on you and raise you a “personal choice.” I don’t enjoy the sanctimommy tone going on here, and I don’t think this is the place for it. People post desserts all the time. You’re under no obligation to make it, and btw- you can also teach your children moderation as well.